Muscular Strength and Range of Motion. 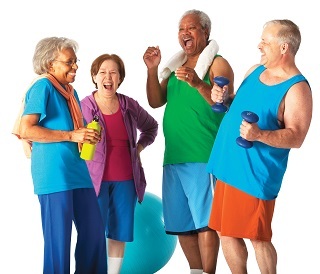 Fitness class for older adults. Have fun and move to the music through a variety of exercises designed to increase muscular strength and range of movement and activity for daily living skills. Weights, elastic tubing w/handles, and a ball are offered for resistance, and a chair is used for seated and/or standing support. Offered in Los Alamos and the White Rock Senior Center.